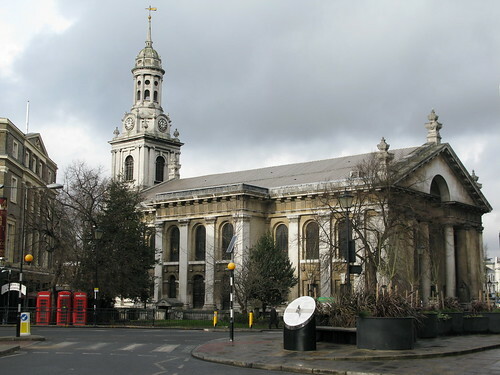 ST ALFEGE Church recently celebrated the thousandth anniversary of the martyrdom of its patron saint, Alfege. The current church is the third to occupy the site since Alfege's murder at the hands of Vikings a millennium ago. 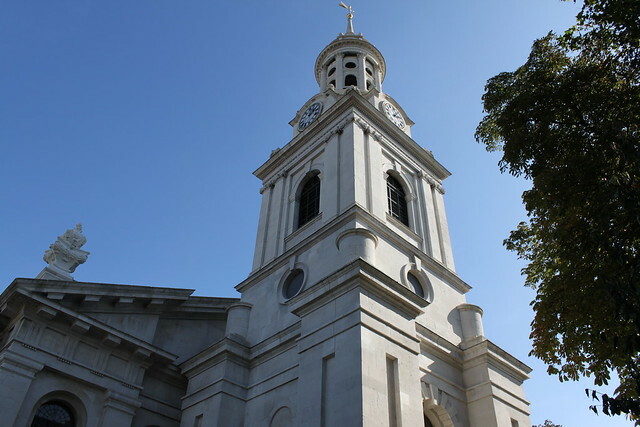 The church was built early in the 18th century, designed by Nicholas Hawksmoor and funded by the Commission for Building Fifty New Churches. On the north and south sides of the church are entrances into the crypt (above). 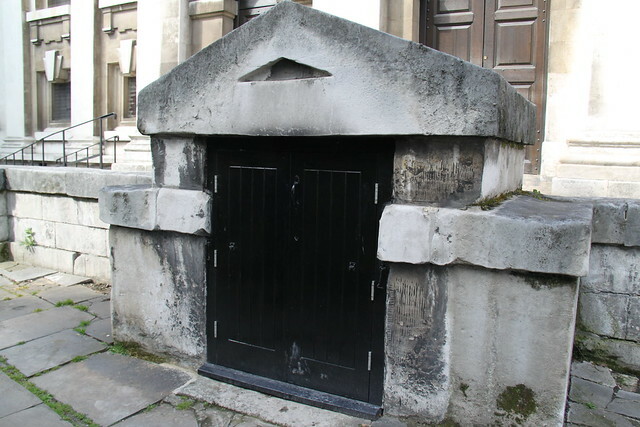 It was used for the interment of bodies in family vaults between the 1750 and 1859. 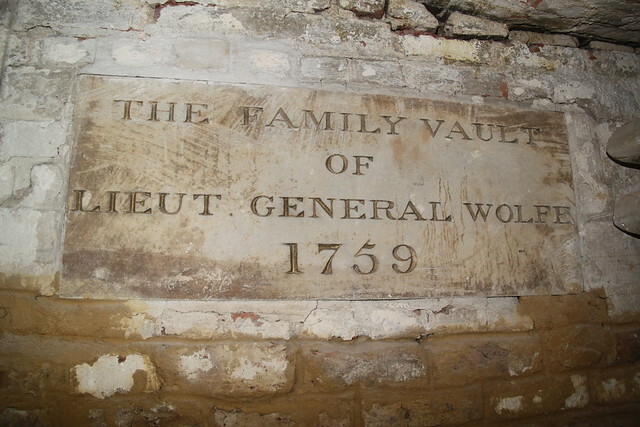 The St Alfege Church crypt is the final resting place for famous names from Greenwich history such as General Wolfe and John Julius Angerstein. 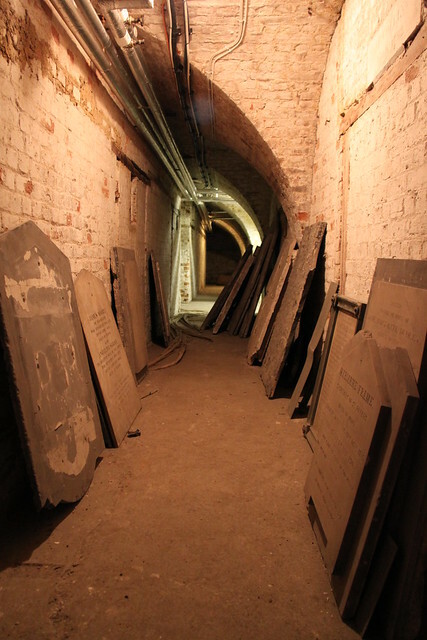 Bodies including that of Thomas Tallis are buried below the crypt, from the church's previous incarnation. The church has in the past opened the crypt as part of Open House weekend so look out for opportunities to visit this year. 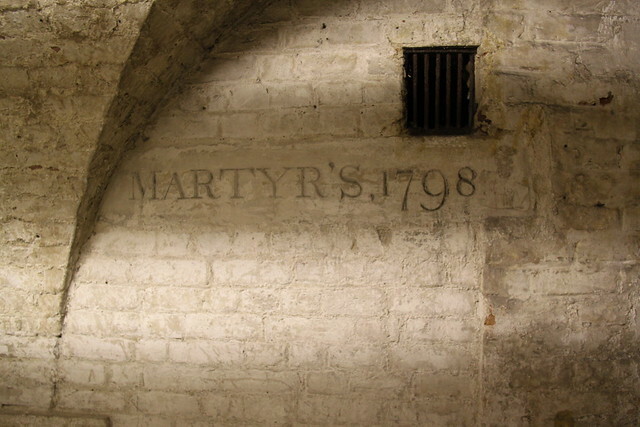 The current church will have its 300th anniversary in 2018, and restoring the crypt to make it more accessible is one of the aims of the St Alfege Restoration project. "Built for Mr and Mrs Greenwich"
The Granada Theatre company was experiencing incredible growth in the 1930s across London and the south east under the stewardship of the impresario, Sidney Bernstein. Their cinemas promised customers "service with a smile" and reminded them in advertising that it should be pronounced "gra-NAH-dah". In 1937, the chain arrived in Greenwich. The new theatre at the busy junction of Trafalgar Road, Blackwall Lane, Woolwich Road and Vanbrugh Hill took seven months to build. Able to seat over 1900 patrons, it was designed by C. Howard Crane, with the interior designed by Theodore Komisarjevsky. A feature in the Kentish Mercury a week before it opened it declared the new addition to the Granada chain, "Built for Mr and Mrs Greenwich". The newspaper noted that the "predominant colour in the scheme of wall decoration is silver, set off by natural and pastel shades in various hues." "Behind the facade is a large area with a flat surface, where, presumably, the staff will be able to sunbathe and indulge in other forms of recreation." Inside the Granada was a Mighty Wurlitzer organ, able to "command a world of music, from a full symphony orchestra to a Chinese tom-tom, the human voice, ships' syrens, the roar of an aeroplane, the crash of the surf, even a telephone bell." 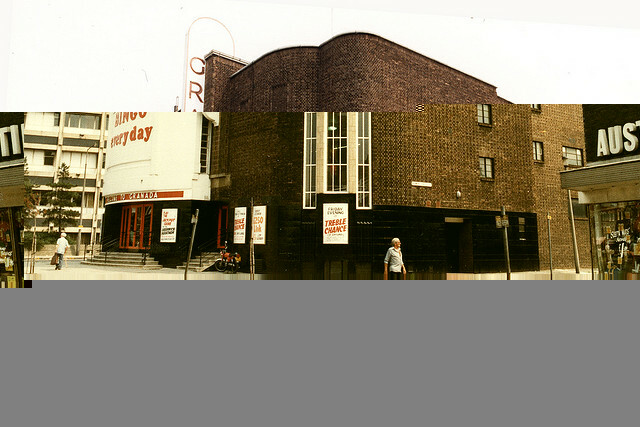 The theatre was managed at its opening by John Roberts, who had six years' of experience in running the Rialto in Leytonstone. 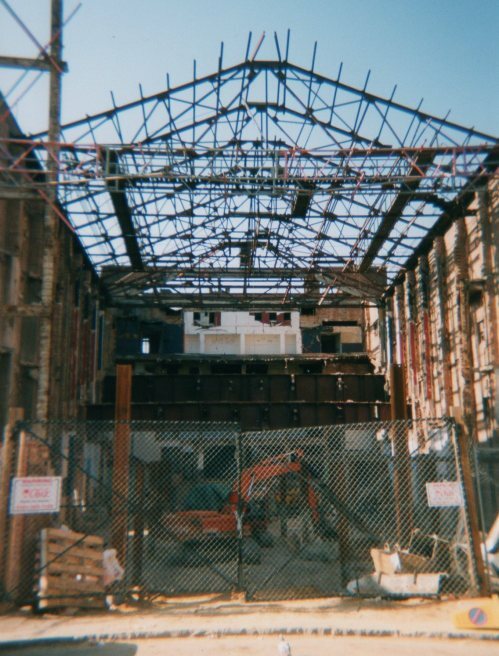 It was, according to the Cinema Treasures website, the "plainest of the purpose built Granada Theatre chain." It certainly lacked the glamour of the Woolwich Granada which had opened a few months earlier and had been billed as "the most romantic theatre ever built" - later recognised with a Grade II listing. Greenwich's Granada was opened on Wednesday 29th September 1937 by the superstar, Gracie Fields. 'Gracie "mobbed" at Greenwich' was the headline in the Kentish Independent, as they reported on the presence of "Britain's most popular comedienne". Actually Fields was a late stand in, and it was Maureen O'Sullivan who had been due to open the Granada but she had to withdraw because she was suffering from flu. The presence of 'Our Gracie' drew a crowd - estimates vary between 8,000 and 10,000 - to the theatre's opening night. Upon arriving, Gracie went straight up to a roof balcony and performed "Sing as we go" and "Sally" for the fans out in Trafalgar Road. Photos from the opening made the next day's Daily Mirror. "She described the cinema as 'proper posh' and then said in a rich Lancashire accent, 'Well, I don't suppose you want to hear me talking, you want to hear me sing. Shove a piano on the stage, lads!' And she sang 'Sing As We Go', 'I Never Cried So Much in All My Life' and 'Sally'"
Charlton Athletic footballers Donald Welsh and John Oakes presented a signed football on stage to a pupil from John Roan School as a reward for being the first to enrol in the "granadiers" - a kids club which gave members special deals on Saturday matinees. Elephant Boy and Midnight Taxi were the films shown on that opening night. The opening night of the Granada coincided with a meeting of the council, so Mayor Dabin couldn't accept his invitation to attend the opening. He, and others from the council, instead visited the Granada on the following Monday. 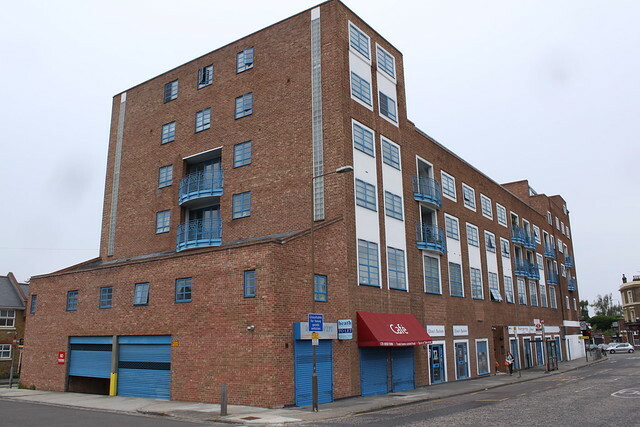 Mayor Dabin declared it to be the "the last word in cinemas" and said he hoped it would be "an incentive to the traders in Trafalgar Road and to the landlords of the properties to improve their buildings". Soon after opening, an amateur talent contest was launched on Friday nights at the Greenwich Granada. A prize of £2 was on offer for the winner and £1 for the second placed act - whichever act got the loudest applause from the audience was crowned the winner. The first such contest took place on October 15th. Eight entrants from Greenwich, Deptford, Plumstead and as far as Chatham took to the stage to compete for the first prize. The Claire Bros, who played the accordion, took the spoils and Ted Maitland from Alliance Road, Plumstead, came second for his recital of "The Charge Of The Light Brigade". A few months later, Ted Scoging of Whitworth Street proved so popular with his syncopated piano routine that as well as winning the prize, he was offered a week's engagement to perform at the Granada. The Granada, like all cinemas, would advertise its listings in the local papers. Flyers were also created and handed out - often with a topical twist using newspaper cuttings. This handbill below subverted a local newspaper report of the proposed second Blackwall Tunnel to suggest it was needed to "carry the crowds" to see Arthur Tracy appear in The Street Singer. When newspapers reported on the strange case of noted theatre organist, Reginald Dixon, getting lost - and reported missing for a while - in a thick fog in Middlesex, the Greenwich Granada rushed out flyers exclaiming, "We've found him and even if it snows he will appear at Greenwich Granada." "It was dark. The whole Granada building was dark and I was sitting on my father's shoulder... all of a sudden, all of the outside lights went on. Everybody cheered and screamed and clapped... and then Gracie Fields came and sang some of her popular songs. It was very special." 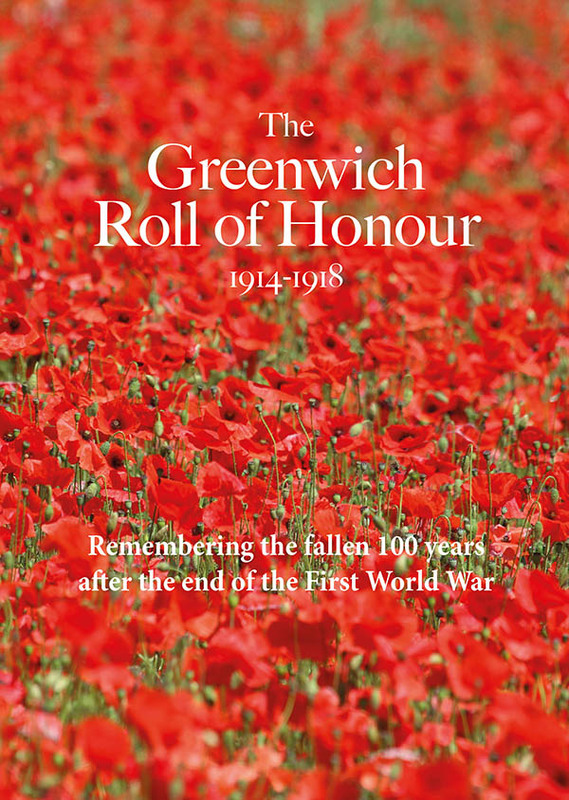 During the second World War, George Farnish was an assistant to the Gas Identification Officer in Greenwich. In an account of his life in he wrote before he died, he recalls having to carry out a mock gas attack on a Saturday afternoon in the town. He placed a cannister of weak tear gas at the corner the junction by the Granada and warned shops to shut their doors and the theatre to control its fans. "The police had to blow their whistles and shout 'gas', then suddenly the Granada started emptying out, people with tear gas in their eyes. The manager had not believed us and left the inlet air fans on, and the place had filled very quickly. " In his memoirs, Greenwich-born author Christopher Fowler remembers the Granada as a place where "hunchbacked, chain-smoking pensioners whiled away their afternoons because they got cheap tickets to the early shows. When they weren't noisily unwrapping boiled sweets in the quiet parts of the film, they were creeping around the toilets with bladder complaints." After the amazing boom of cinemas throughout the 30s came the inevitable decline. UK wide cinema admissions peaked in 1946 and had been on a downward trend ever since, dipping below one million in 1957 and continuing to fall rapidly as home television experienced a boom of its own. The entrepreneurial Granada was looking for ways to diversify and started to introduce bingo at some of its less successful theatres. Part week bingo was introduced in Greenwich in 1963 and within five years, films had been dropped altogether. The Granada survived as a bingo hall through to the 80s. The pictures below show that the sign which would have once advertised the features simply said, "Bingo Everyday". By the end of the 80s the bingo hall had been closed down and Granada's time in Greenwich had come to an end. In autumn of 1992, 234 Trafalgar Road was reborn as the Stars nightclub and is still fondly remembered by almost 400 people who have joined a Facebook group in its honour. One former patron commented on the group, "Oh those were the days ..... crispy scruched hair ..knee boots ..and orange foundation..Dj playing the same songs in the same order every Friday.. I LOVED IT!!!!" Another fan of the club added, "I remember my mate jumping off a raised stage at a foam party, landing on his knees and nearly breaking his legs! Priceless memories!" For others though, the club was a place to avoid - it earned itself the unfortunate nick name, "Stabs", with one local resident remembering that there was "always too much blood on the road outside Stars on a Saturday morning for me to ever venture in." By 1996, the party was over and the Stars had gone out. Following the closure of Stars, developers moved in. The building was gutted and thirty-nine new apartments were built inside. 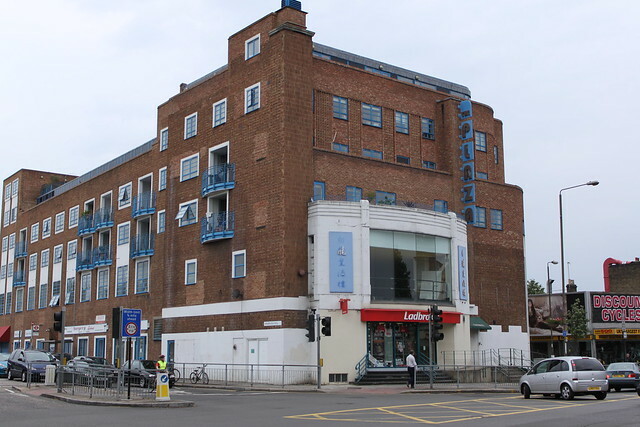 The building was rebranded as the Plaza and shops were created at the ground level with Ladbrokes the bookmakers occupying the prime retail space facing onto Trafalgar Road. 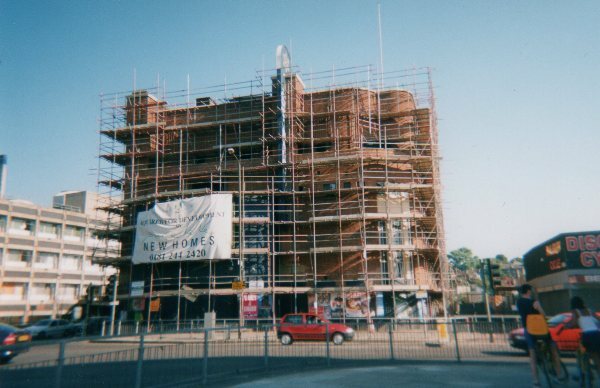 Local journalist Darryl Chamberlain took these photos at the time of the transformation. In 2006, Caffreys Sports Bar requested permission from Greenwich Council to be able to offer pole dancing from its premises in the Plaza building. The proposal proved to be hugely controversial and a campaign was launched by local residents to oppose the plan. The Council's Licensing Committee did, however, grant permission for dancing to go ahead - but, to the relief of local campaigners, a Stop Notice was issued by the Council at the last minute to stop the bar from trading. 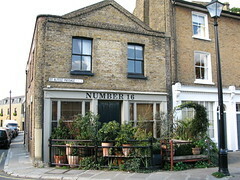 That Stop Notice was successfully appealed by the owner, Shopsearch UK Limited, and in 2009 the council was to compensate the owner for lost income. A chinese restaurant opened for a while above the bookmakers but the space is now empty and various planning applications for changes of use have been submitted to the council, including for use as a place of education, a three bedroom apartment and most recently as a place of worship. Sidney Bernstein himself did not get attached to bricks and mortar. In fact, he strongly resisted his Tooting and Woolwich theatres being listed and while the Greenwich Granada may not boast their splendour, its eventful history and unmissable presence at one of Greenwich's busiest junctions makes it part of the fabric of East Greenwich. With thanks to the the Greenwich Heritage Centre, the British Film Institute library, Joan Collins, Darryl Chamberlain and Dr Mary Mills. Time is central to Greenwich's modern identity yet things weren't always so fixed around the meridian. The earliest settlers of the area ran on another calendar and their New Year (Samhain) fell on the 31st of October. They had different beliefs and relationships to the dead and there are traces of pagan worship and even witchcraft all over Greenwich. The park with its Observatory should stand as a monument to science (the first astronomer John Flamsteed wrote a horoscope for the Observatory because he despised astrologers) but is actually laden with old lore, and of course the Bronze Age Tumuli later used as a Saxon burial ground. HV Morton -writing in the mid twentieth century- reported Japanese folk worshiping the cedar trees whilst some claim the Roman ruins are a temple to the goddess of the hunt, Diana. This ties in rather nicely with the notion that there is a sacred well to Anglo Saxon goddess Holda. Better known as the Snow Well all that remains of this is an indentation. Holda was goddess of many things from spinning to reproduction and women standing in the depression of the well have reported "strange but not unpleasant sensations". Local folklorist Jack Gale links the well, via King William Walk, to the site where the May poles once stood, pagan relics that lasted well into the Christian era. Even today one of the most iconic (albeit temporarily covered) landmarks, the Cutty Sark, has a witch (Nannie) clutching a horse's tail for a figurehead and spectral man has been spotted keeping watch from the crows nest. Also the whole of the World Heritage Centre area owes its existence to an accusation of witchcraft. Before the current buildings were built there was that favourite Tudor residence the Palace of Placenta which was once known as Bella Court and belonged to Duke Humphrey of Gloucester. It was a very lovely spot. So lovely that Margeurite of Anjou, the rather pushy wife of Henry VI, fancied it for her own. To this end she accused Humphrey's wife of dabbling in the dark arts, specifically attacking a likeness of the king with pins. During the resultant arrests Humphrey died in custody whilst helping the archbishops with their enquiries and the property passed to Henry (and his wife). St Alfege Church - built on the site where St Alfege was beaten to death with animal bones. Then again the archbishops could just have thought they were getting revenge on the pagan murderers of their predecessor St Alfege, beaten to death with animal bones by Danes on the site where his church now stands. In fact if violent death and revenge hauntings are truly the reason most spectres are with us then Greenwich should be awash with bitter and vengeful spirits. As it is there are plenty of phantoms, just not of the wrathful kind. Instead many of them are slightly sad, and easily got rid of if the one that formerly haunted 16 St. Alfege Passage is anything to go by. This phantom (of a young Edwardian chap with long hair) manifested in traditional ways such as moving objects, walking the stairs late and leaving certain visitors with a choking sensation. 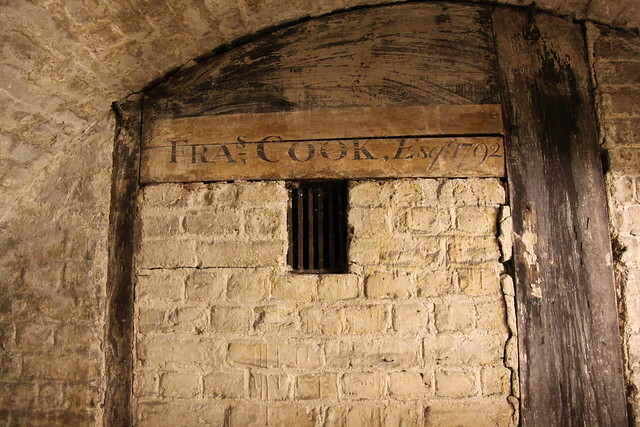 These sensations were strongest near a beam and the former vicar of St. Alfege (brandishing bells, salt, water and incense) who laid the spirit suggested that it might have been the trapped soul of a suicide who had hung himself. Another sad tale occurs up on Croom’s Hill at St Mary's Lodge when one day Tom Potter come knocking. He was looking for his mother who once worked as a maid there. The replacement parlour cleaning executive expressed no knowledge of Tom’s mother but the lady of the house, who overheard the exchange, remembered her former servant and sent word to her new address that her son was looking for her. She received the rather shocking reply that Tom was unlikely to have been knocking on doors in Greenwich on that particular date as that was when he had died many miles away in Jamaica. Tom’s funeral obviously never occurred in Greenwich but, as if to make up, elsewhere on Crooms Hill, near the gate, has been seen a group of red haired women carrying a coffin towards the park. If this isn’t disturbing enough their legs ended at the kneecaps. This reporting of legs disappearing into the ground is a staple of ghost lore and is usually explained as the ghosts walking on the street or floor level that existed when they were alive. As London has risen street on street century on century burying people, buildings and much else so today’s “floor” may be several feet higher than when the spirits of the departed walked once when alive. In death it would appear that they are trapped on their own level. Sadly no such restrictions apply to the other being spotted near the gate, a repulsive, dwarf like figure that just loiters about. 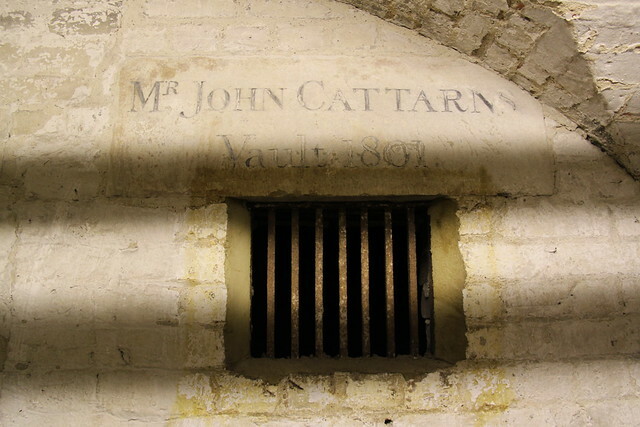 It’s possible that he lives underground in one the numerous tunnels that supposedly catacomb Greenwich. 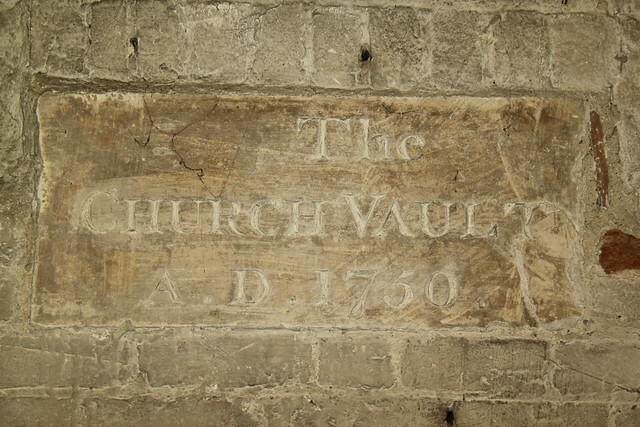 Some of these, the old Blackheath Caverns, former chalk mines under Point Hill for example, are well documented whilst others belong to an era of highwaymen, smugglers and rebellion. Given the associations of nearby Shooters Hill with highwaymen one might have expected their ghosts on the hill and not a murdered blonde from the 1830s on the hill or at Veremont House a wicked lady with striking dark eyes and hair who, spurned in love, murdered her second cousin. There is however the chilling sight of Lord John Angerstein’s coach on the Vanbrugh Hill being pulled by four headless horses along the Trafalgar Road. 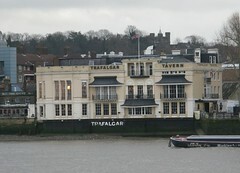 The Trafalgar pub is supposedly visited by a Victorian gentleman who likes to stroll the higher floors mostly but is not above sifting things from the cellar. However it is time to bury the tale (or should that be tail?) of the black dog of the Spanish Galleon. The story that the pub is haunted by Shuk the hell hound of folklore (or grim to Harry Potter fans) arises from the night when things got out of hand at the South East London Folklore Society who formerly met there. The speaker and others decided to see whether is was possible to conjure up Shuk but no dog actually appeared. Some spirits seem only too keen to pop up though and the two most reported apparitions of Greenwich are the phantom of the Tulip Staircase in the Queen's House and the shade of Admiral Byng (who was executed for treason) wandering the Queen Anne Court, and elsewhere. 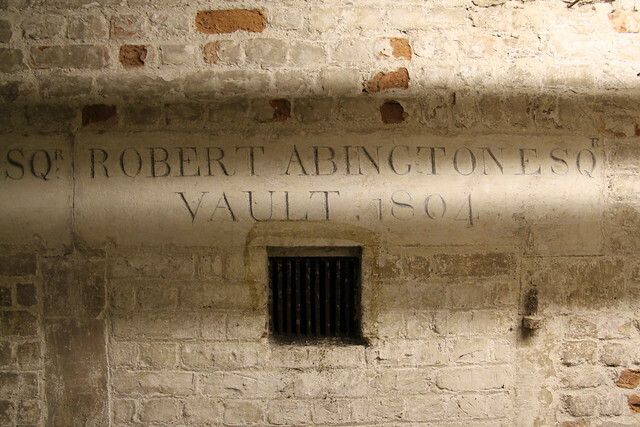 The Court, was where he was fixed to wall prior to his execution, yet despite this treatment he is by all accounts a cheery and helpful spirit and also one that, according to the earliest reports shortly after his death, favoured the famous with his attentions. A lesser spotted spectre haunts the site of a more modern attraction (the Millennium Dome) which is home to the shade of Sir George Livesey who (as former chairman of gas works which stood on the Peninsular) popped up to view the new building. It is perhaps fitting that as time moves forward and the clock trips towards All Souls Eve that we should remember these previous residents of the village by the green who have apparently never gone away. Some of these stories are classics, like the ghostly hitchhiker at the Greenwich end of the Blackwell Tunnel, but it is worth asking if there is nothing to the tales why do people keep telling them? Chris Roberts is editor of the 21st century penny dreadful One Eye Grey which features modern stories based on traditional London folklore and tales of the uncanny, paranormal and supernatural. Sources for the article include local folklorists Jack Gale and Jacqueline Woodward-Smith as well as the South East London Folklore Society reference library, the Greenwich Phantom and the ever reliable paranormal database (www.paranormaldatabase.com). 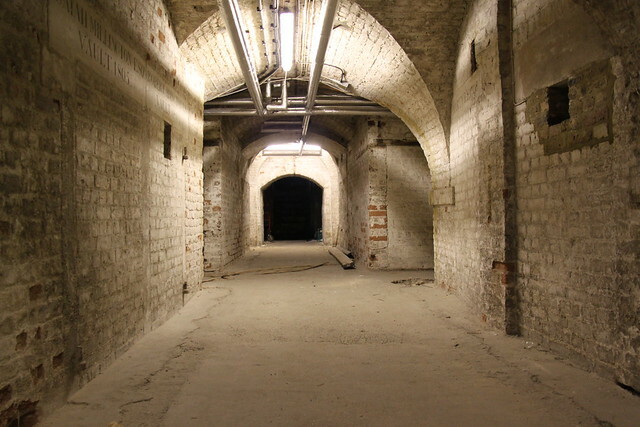 PS Those interested in a cinematic horror tour of the area should go to Greenwich Council film location site where amongst the films are The mummy returns, 28 days later, 28 weeks later and Beyond the rave. Nearby Deptford was used in Quatermass and the pit and more amusingly mocked up as New Orleans for Interview with a vampire.